This study was conducted to investigate the synergistic effects of cutting parameters on surface roughness in ball end milling of oxygen-free high conductivity (OFHC) copper and to determine a statistical model that can suitably correlate the experimental results. Firstly, an experimental plan based on a full factorial rotatable central composite design with variable parameters, the cutting feed rate or feed per tooth, axial depth of cut, radial depth of cut, and the cutting speed, was developed. The range for each variable was varied through five different levels. Secondly, a mathematical model was formulated based on the response surface methodology (RSM) for roughness components (Ra and Rz micron). The predicted values from the model were found to be close to the actual experimental values. Finally, for checking the adequacy of the models, analysis of variance (ANOVA) was used to examine the dependence of the process parameters and their interactions. The developed model would assist in selecting the cutting variables for optimization of ball end milling process for a particular material. Based on the results from this study, it is concluded that the step over or radial depth of cut have a higher contribution (45.81%) and thus has a significant influence on the surface roughness of the milled OFHC copper. Oxygen-free high conductivity (OFHC) Cu is a pure form of Cu with 99.99% Cu and is widely used in electrical applications such as cryogenic shunts, X-ray storage ring, and various other industries for different applications (Mahto and Kumar, 2008; Yang and Chen, 2001; Zhang, Chen, and Kirby, 2007). Presently, the demand for good quality of finished OFHC Cu material (like a mirror finish surface) is increasing at a brisk pace for its use in various sectors, like manufacturing, electrical, electronics, nuclear, and medical science (Mahto and Kumar, 2008; Yang and Chen, 2001; Zhang et al. 2007). To achieve a good quality of surface finished products, the selection of proper process parameters are important and essential (Yang and Chen, 2001). Among the several metal cutting operations, end milling has been a vital, common, and widely used process for machining parts in numerous applications including aerospace, automotive, and several manufacturing industries (Mahto and Kumar, 2008; Zhang et al. 2007). It is well known that the surface roughness is an important parameter in the machining process (Makadia and Nanavati, 2013). Usually, the product quality is measured by its surface roughness. Minimizing the surface roughness results in a product with good surface finish of the final machined part. Thus, researchers have directed their attention toward developing models and quantifying the relationship between roughness and its parameters. The determination of this relationship is for the advancement in manufacturing machines, materials technology, and the availability of modeling techniques. The different methods include that confined in this approach response surface method (RSM), factorial designs, and Taguchi methods (Lin, 1994). Recently, these are the most popular methods used by researchers that tend to reduce the effort of a machinist and minimize the machining time and cost which was not possible by the old experimental approach that includes single factor at a time or “trial-and-error” approach (Lin, 1994). Among the various approaches used to predict the surface roughness, the present article demands a brief review of roughness modeling using RSM. Alauddin et al. (Alauddin, El Baradie, and Hashmi, 1996) presented their work on optimizing the surface finish of Inconel 718 in end milling. They used uncoated carbide inserts under dry operating conditions. The RSM was used to develop a first- and second-order models, and based on the results, it was concluded that with the increase in feed surface roughness, increases cutting speed but increasing speed results in a decrease in the surface roughness. Suresh et al. (Suresh, Rao, and Deshmukh, 2002) proposed a model dependent on the machining parameters for measuring the surface roughness of material and later optimized the parameters using a generic algorithm. Routara et al. (Routara, Bandyopadhyay, and Sahoo, 2009) proposed a roughness model for end milling of three different materials: Al 6061-T4, AISI 1040 steel, and medium-leaded brass UNS C34000. The study included five roughness parameters, and for each behavior, a second-order response surface equation was developed. Benadros et al. (Benardos and Vosniakos, 2002) presented a review for surface roughness prediction in the machining process. 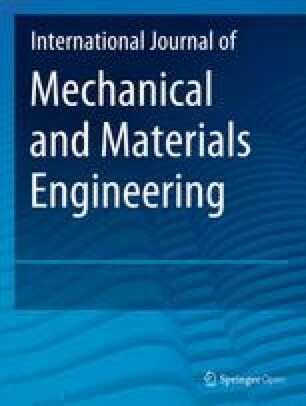 The different approaches reviewed were based on machining, experimental design and investigation, and artificial intelligence. Colak et al. (Colak, Kurbanoglu, and Kayacan, 2007) optimized roughness parameters using a generic algorithm for generating end milled surface. A linear equation was proposed for the estimation of the surface roughness that was in terms of parameters such as cutting speed, feed, and depth of cut. Lakshmi et al. (Lakshmi and Subbaiah, 2012) used RSM for modeling and optimization of the end milling process parameters. Average surface roughness for the EN24 grade steel stands for CNC vertical machining center. In addition, the second-order model was developed based on the feed, depth of cut, and the speed of cutting. It was shown that the predicted value from the model was in close agreement with the experimental values for Ra. Jeyakumar et al. (Jeyakumar and Marimuthu, 2013) used RSM to predict the tool wear, cutting force, and surface roughness of Al6061/SiC composite in end milling operation. The developed model was further used to investigate the synergistic effect of machining parameters on the tool wear. Ozcelik et al. (Ozcelik and Bayramoglu, 2006) developed a statistical model to predict the surface roughness in high-speed flat end milling of AISI 1040 steel. The experiments were performed under wet cutting conditions using step over, spindle speed, feed rate, and depth of cut. It was found that R2adj increases from 87.9 to 94% by adding total machining time as a new variable. Mansour and Abdalla (Mansour and Abdalla, 2002) studied the roughness (Ra) in end milling of EN 32 steel using RSM. Wang et al. (Wang and Chang, 2004) studied the effect of micro-end-milling cutting conditions on the roughness of a brass surface using RSM. Reddy and Rao (Reddy and Rao, 2005) developed a mathematical model using RSM to calculate surface roughness during end milling of medium carbon steel. Based on the literature presented above, it reflects that there are mainly four machining parameters that effect on the surface roughness of end milled parts. Thus, in the present study, two roughness parameters viz. roughness average (Ra) and mean roughness depth (Rz) was considered as responses for generating stata istical predictive model in terms of machining parameters. The machine used for milling tests is ‘MIKRON VCP710’ CNC machining center having the control system Heidenhain TNC430 MHS with a vertical milling head. The maximum spindle speed and work feed rate of the machine is 18,000 rpm and 15 m/min respectively. Visicam 15 for drawing and tool path generation is used. The experimental setup used in this study is shown in Fig. 1. The cutting tool used in the present work was a solid carbide ball nose end mill cutter. The tool has a cutter diameter of 8 mm; overall length, 63 mm; fluted length, 45 mm; helix angle, 30o; hardness is less than 48 HRC number of flutes, 2. It was produced by “Sandvik” Coromill Plura (CoroMill Plura solid carbide end mills tool handbook “Sandvik Coromont,” n.d.). Surface roughness was measured using Surftest SJ-301. The Surftest SJ-301 is set to a cut-off length (λc) of 0.8 mm, maximum traverse speed of 0.5 mm/s, and an evaluation length of 4 mm. Stylus material is a diamond having a tip radius of 5 μm. The roughness tester is shown in Fig. 1. Surface roughness was measured in the transverse direction on the workpiece. The present study was performed on the OFHC Cu. The chemical composition of the OFHC copper used is shown in Table 1. The dimension of the specimen was 145 mm × 90 mm × 38 mm. The RSM technique is based on the statistical and mathematical (least-square fitting method) approach for modeling and analysis of the problems where the response is influenced by several parametric variables. The RSM can be considered as a systematic approach to find he relationship between various machining criteria and process parameters (Montgomery, 2005). Choose the number of process parameters taken for the experiment. Select the appropriate model to be used. ANOVA for analysis to check the adequacy of the model. Use proper elimination process stepwise, backward or forward elimination. Inspect the diagnostic plots to validate the model statistically. Steps (2) and (3) helps in identifying if the model is appropriate followed by generating model graphs (contour and 3D graphs) for interpretation. Where Xi is the required coded value of a variable X, X is any value of the variable from Xmin to Xmax, Xmin is the lower limit of the variable. The intermediate values are coded as −1, 0, and 1. The selected parameters with their level are shown in Table 2. The experimental design consists of 31 runs as with the experimental results are outlined in Table 3. Table 3 presents experimental results of the responses (Ra and Rz), also the predicted values obtained from rethe gression equation and percentage error. The surface roughness (Ra) and mean roughness depth (Rz) values are obtained in the range of (0.17–0.70 μm) and (1.29–3.680 μm) respectively. 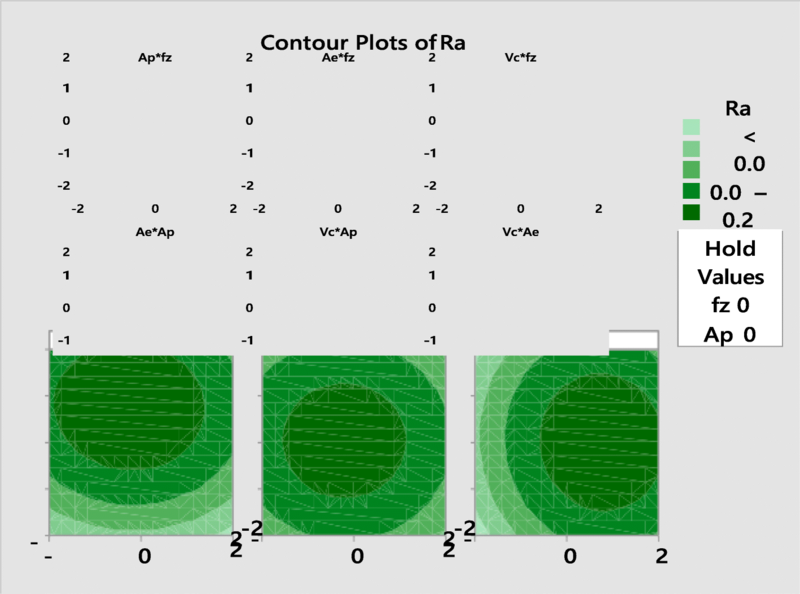 Figures 2, 3, 4, and 5 present the normal probability plots of residuals and plot of residuals vs. predicted response for both roughness components (Ra, Rz). The ANOVA for the surface roughness components Ra and Rz are obtained from Minitab 17 statistical software. These components were used to analyze the influence of cutting speed, feed per tooth, axial depth of cut, and radial depth of cut on the experimental results. Tables 4 and 5 show the ANOVA result of roughness components Ra and Rz respectively. The results from ANOVA and the F ratio were used to check the adequacy of the models as well as to show the significance of the individual model coefficients. Table 4 shows ANOVA for roughness average (Ra). From this table, it can be seen that all the linear, square terms are significant, and the two-way interaction effect of cutting feed rate and radial depth of cut (fz × ae), cutting feed rate and cutting speed (fz × Vc), axial depth of cut and radial depth of cut (ap × ae), step over, and cutting speed (ae × Vc) are regarded as significant terms. Except two-level inter foraction, the effects of fzap and apVc are becoming insignificant as their p value is greater than 0.05, thus are not included in the final quadratic model. 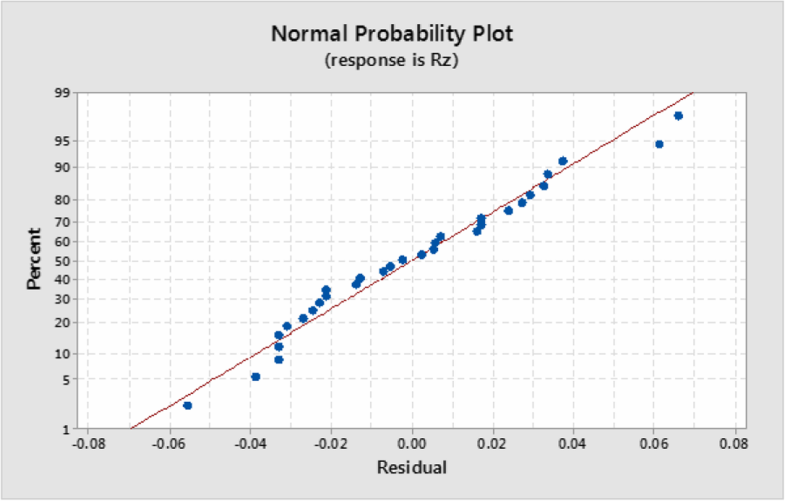 Table 4 shows that coefficient of correlation R2 is 99.86% which approaches to unity; this indicates a close correlation between the experimental and the predicted values as shown in Fig. 2. A check on the plots in Figs. 2 and 4 reveals that the scatter of residuals are very close to the straight line implying the normal distribution of errors. Moreover, the scattered data in Figs. 3 and 5 revealed that there is no obvious pattern and formed unusual structure. This shows a good relation between residual and fit values. The comparison of F ratio for lack-of-fit and standard values are presented in Table 4 corresponding to their degrees of freedom. The standard percentage point of F distribution for 95% confidence level is shown in Table 6. 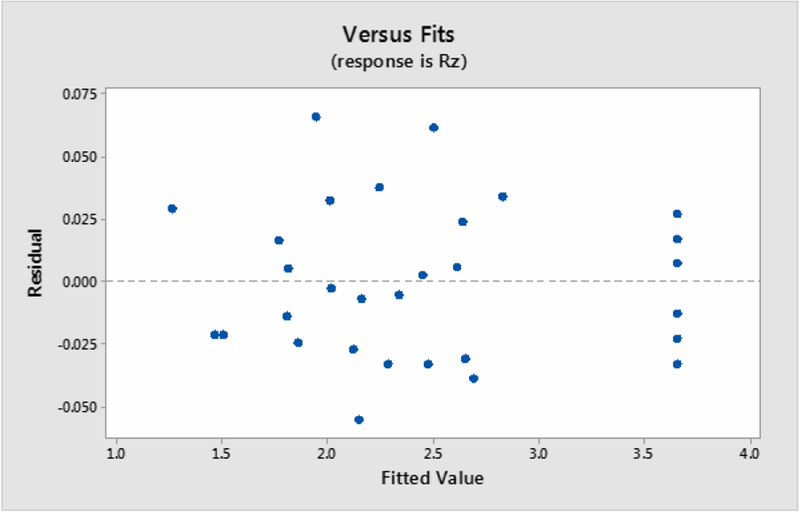 This shows the F value (2.39) for lack-of-fit is smaller than the standard value indicating that the proposed model is adequate. The analysis of results shows that the effect of feed per tooth (fz) has a significant influence on the surface roughness with a 45.81% contribution to the model because surface finish increases as step over decreases. Axial depth of cut is the next dominant factor with a contribution of 1.78%. Cutting speed (Vc) with 0.07% contribution has the lowest effect on the surface roughness in ball end milling of OFHC Cu material. Similarly, Table 5 shows the ANOVA table for the mean roughness depth (Rz). It is found that the radial depth of cut or step over (ae) is the significant factor affecting Rz. Its contribution is 16.78%. F = 3.22 < 3.96 (F0.05,14,6 = 3.96) for lack-of-fit DF is given in Table 6 and shows that lack-of-fit is insignificant thus model for Rz is also adequate. The next largest factor influencing (Rz) is axial depth of cut (ae) with a contribution of 4.57%. The cutting speed (Vc) with 0.48% contribution has a poor weak significant effect. The two-way interaction terms fz × ap, fz × Vc, ap × ae, and apVc are not significant as their p value being less than 0.05. The relationship between the factors and the performance measures are modeled by quadratic regression. The regression equations for both the roughness components are formed by performing a backward elimination process. This procedure automatically reduces the terms that are not significant. 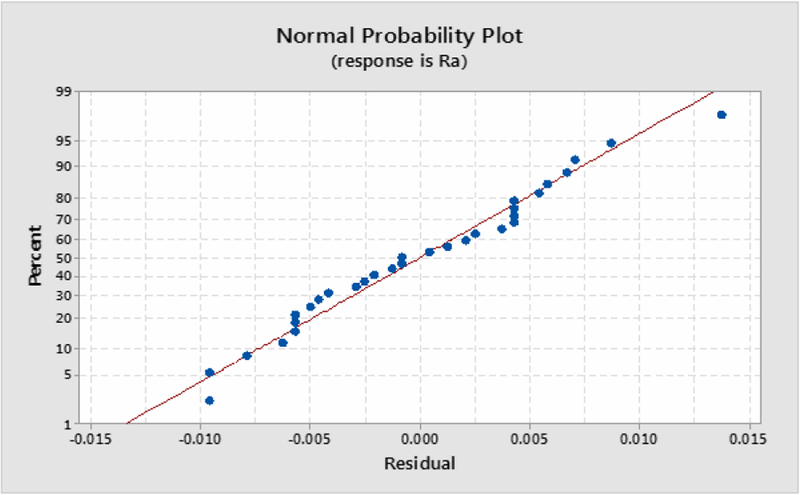 The roughness average Ra model is given below in Eq. (4). The mean roughness depth (Rz) is given by Eq. (5) with a determination coefficient (R2) of 82.14%. 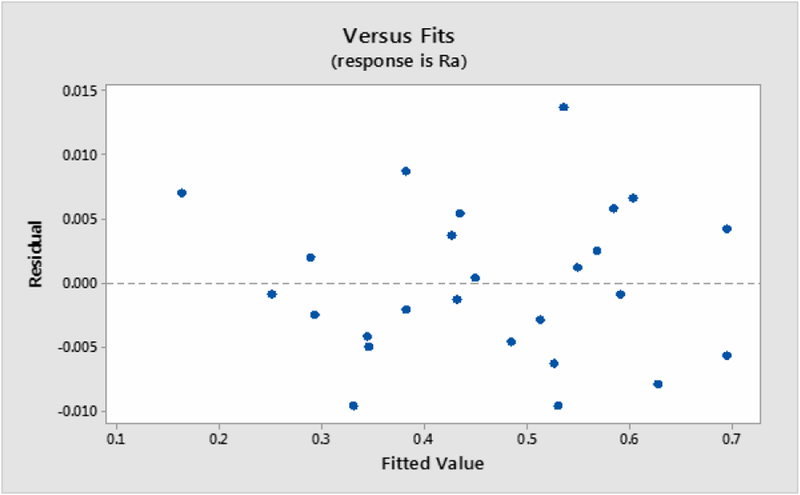 The predicted values of responses illustrating roughness average (Ra) and mean roughness depth (Rz) from regression Eqs. (4) and (5) corresponding to different combinations of machining parameters are reported in Table 3. Figures 6 and 7 show the comparison of predicted values and the corresponding experimental values. It is observed that the predicted values are in close agreement with the experimental calculations. The 3D surface graphs and contours for the surface roughness components (Ra and Rz) are shown in Figs. 8 and 9. All the surface graphs have a curvilinear profile corresponding to the quadratic model fitted. This means all plot of interactions for surface roughness have a significant effect. From the surface plot, it is depicted that with a setting of low radial depth of cut and near to higher level of axial depth of cut, cutting feed rate, and cutting speed, a good surface finish can be obtained. Figures 6 and 7 illustrate the variation between measured values and predicted responses. It can be seen that the results of the comparison are in close agreement with each other and can predict the values of surface roughness components (Ra and Rz) accurately with a 95% confidence interval. Surface roughness analysis using RSM was successfully carried out. It was concluded that the systematic approach in central composite design is beneficial as it saves a number of experimentations required. Using the principles of response surface methodology, a functional relationship between the surface roughness and the cutting parameters is established. Quadratic model is fitted for both the roughness components (Ra and Rz). ANOVA tests result confirmed that models are adequate and can be adapted to mill OFHC Cu for achieving the desired surface finish. Comparison between actual and predicted values confirmed that the fitted quadratic model shows a good relational behavior. Lack-of-fit was insignificant. The surface roughness model suggests that the radial depth of cut provides primary contribution (45.81%) and influences most significantly on the surface roughness. Axial depth of cut provided a secondary contribution to the model followed by cutting feed rate and cutting speed. The obtained contours and surface plots will help on selecting the optimum cutting parameters in order to achieve higher surface finish. 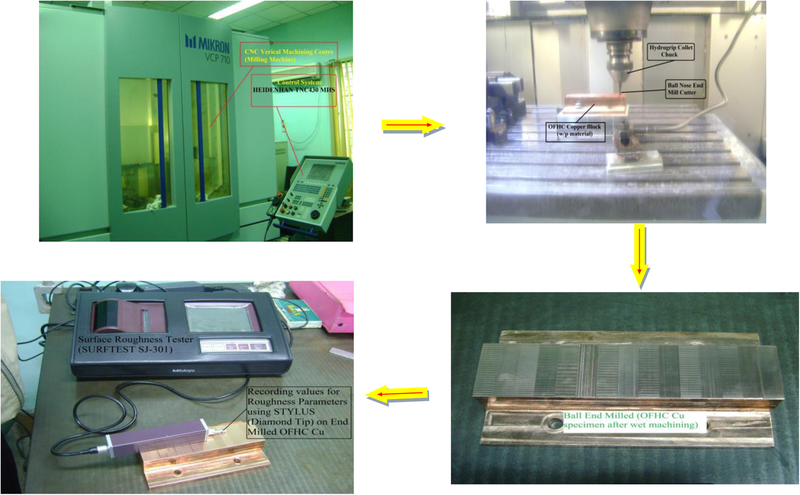 The authors thank Manufacturing Technology Group (MTG) Lab of CISR-CMERI Durgapur, West Bengal, India, 713209 for providing experimental setup and all necessary equipment’s required during experimentation. The authors would like to extend their sincere appreciation to the Deanship of Scientific Research at King Saud University for its funding of this research through the Research Group Project No. RG-1439-029. The authors declare that on acceptance of the manuscripts for publication the data used for the work will be available to all concerned. The will be interesting for both scientific and industrial purpose especially to all Cu industries. BBM contributed to conceptualization and validation. BBM and AS helped in the data creation, investigation and methodology, and project administration and resources. BBM, AS, and AHS helped in the formal analysis. AHS and NA acquired the funding. BA, AHS, and NA supervised the study. BBM, AS, AHS, BA, MB, and NA helped in writing—original draft. BA, MB, AHS, and NA contributed to writing—review and editing. All authors read and approved the final manuscript.